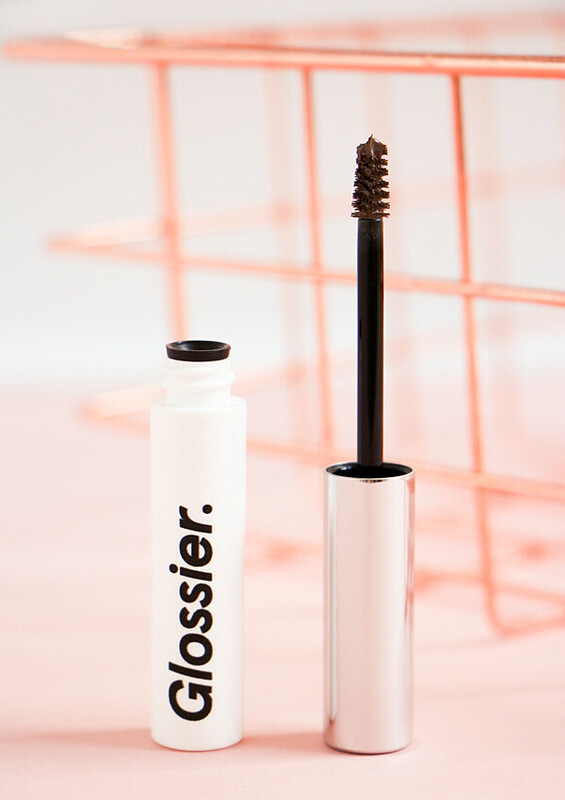 It has almost been a whole year since Glossier first launched in the UK. To be completely honest I wasn't too excited about the launch as their whole natural beauty aesthetic really isn't my thing. I like to wear a lot of makeup & I like people to be able to see the effort that has gone into doing my makeup! Many of their products are overhyped & overpriced, especially their skincare range. Why would you spend £24 on one of their Super serums when The Ordinary make exactly the same product for a fiver? 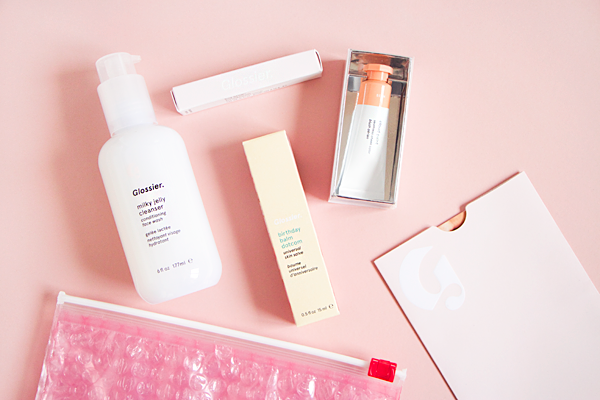 The cult of Glossier is very strong & in the end FOMO led to me ordering a few things just to see if anything lived up to the extraordinary hype surrounding their products. As an impulse buyer I normally want to try everything but when I placed my Glossier order I stuck to a small list of four items that I was longing to put to the test. I think it's telling that since the initial launch none of their new releases have piqued my interest so this looks like it might well be my one & only Glossier haul. Skincare is very important to me & a good cleanser should be the cornerstone of any skincare routine. It's not often that I try anything new these days as the CosRX Low pH Good Morning Gel Cleanser is just absolute perfection to me but the Milky Jelly Cleanser seemed to tick all of my boxes. Gel formulas are my favourite to use, it has an excellent pH level of 4.5-5.0 and it's extremely gentle on the skin. You can use it on dry skin in lieu of a makeup removing balm or on wet skin as a regular face wash. The aptly named cleanser has a thick, viscous texture that comforts the skin & features a blend of five skin conditioners. It contains rosewater to soothe & poloxamer, which is normally found in contact lens solution, to cleanse. I normally love rose scents but the rosewater in this sometimes makes me gag. As a second cleanser it does a decent job of washing my face & leaves my skin feeling really soft without any tightness. However I don't rate it as a makeup remover at all. You have to really scrub at your face to get rid of every last trace of makeup & for me that negates all of the gentle cleansing that this is supposed to provide. Overall it's by no means bad but it's just okay? It's an alright product but I don't love it. I really do not understand the hype around this cleanser. I've relegated it to the shower to wash any excess conditioner off my forehead but otherwise I would not use the Milky Jelly Cleanser as a regular part of my skincare routine. 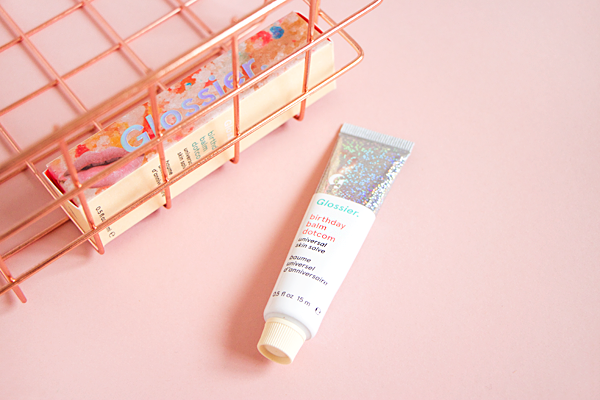 Balm Dotcom is one of Glossier's star products. They claim it's a universal skin salve but like most people, I only use it as a lip balm. I was sorely tempted to order one in every flavour & colour possible but in the end I just went for the Birthday edition. 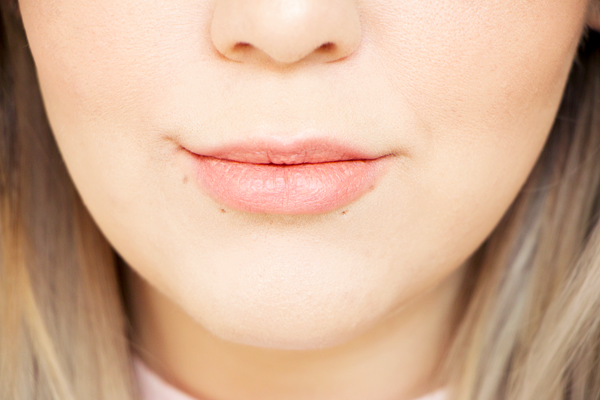 The Birthday Balm Dotcom is untinted with subtle shimmery particles. Best of all, it tastes like cake! The flavour was inspired by Milk Bar, the award-winning bakery owned by Christina Tosi. I love watching her on Masterchef USA & would give anything to try her cereal milk ice cream or rainbow sprinkle birthday cake. Sadly I'll have to settle for a cake flavoured lip balm for now. I'm a big fan of the thick, moisturising texture and the scent & taste are incredible. 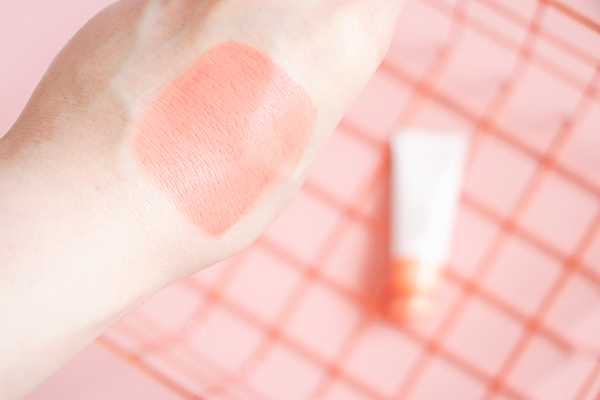 The shimmer in this Birthday Balm Dotcom makes your lips look super pretty too. Before I ordered it I wasn't too sure if this product was just glorified Vaseline due to the inclusion of petrolatum but I honestly think it's so much better. If I were to repurchase anything from Glossier, this would be it as I'm not sure how much longer I can resist collecting all the other flavours! 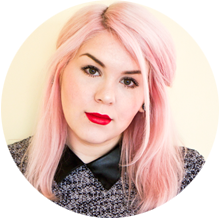 Blocky Instagram brows are finally falling out of fashion & natural fluffy eyebrows are back at last. If that's the look you're trying to achieve then there's nothing better than a tinted brow gel. I've used quite a few brow gels from the likes of Anastasia Beverly Hills, Benefit & MAC over the years. They were all brilliant but Boy Brow is better than all of them. 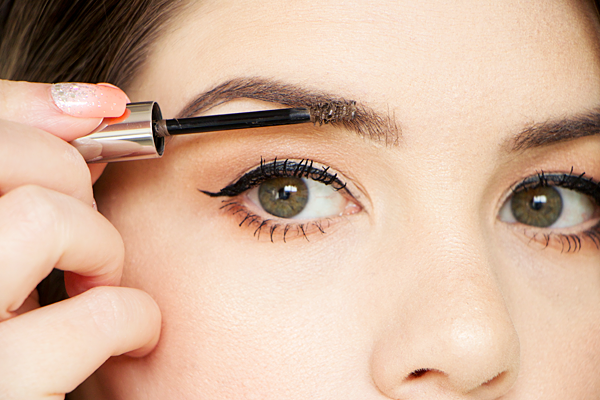 It thickens, fills in & grooms your brows all in one go. It's so quick & easy to use, giving your brows the desired amount of texture & definition in no time at all. One of the best things about this product is the tiny brush applicator. It's a minuscule spoolie that coats every individual brow hair without blobbing the product on your skin. 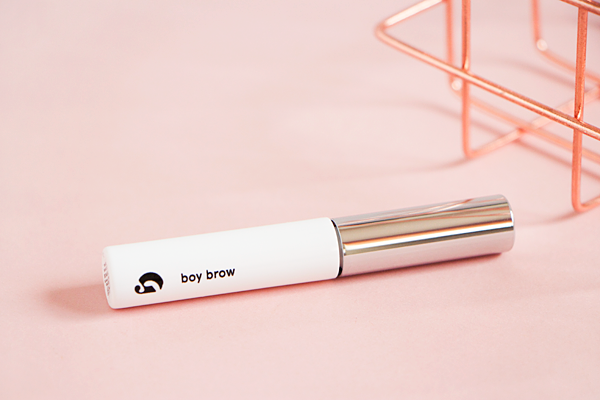 Boy Brow comes in four different colours: blonde, brown, black & clear. I went for brown & I was really impressed with this colour. It's a deep ashy brown without a hint of red. 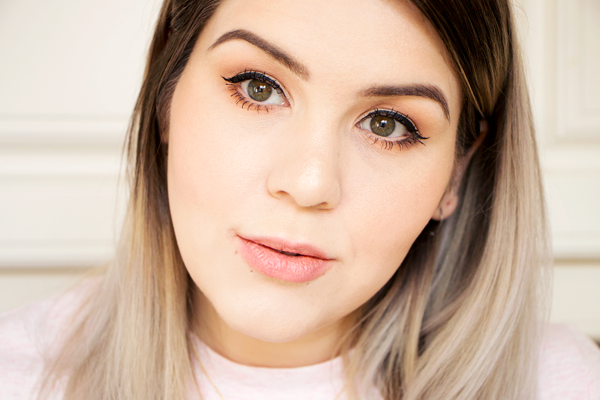 I hate it when my brows look too warm so this shade works well for me. It has a creamy wax formula for a flexible hold that doesn’t flake but it still manages to keeps my brow hairs in place all day long. I get my brows tinted & threaded so I already have a pretty good shape but this stuff really helps to beef them up without making them look completely unnatural. I was in two minds about ordering one of Glossier's Cloud Paints because I normally detest cream cheek products. I always set my base with powder & then I always apply a powder blusher on top so I felt like there was no room in my makeup routine for a product like this. 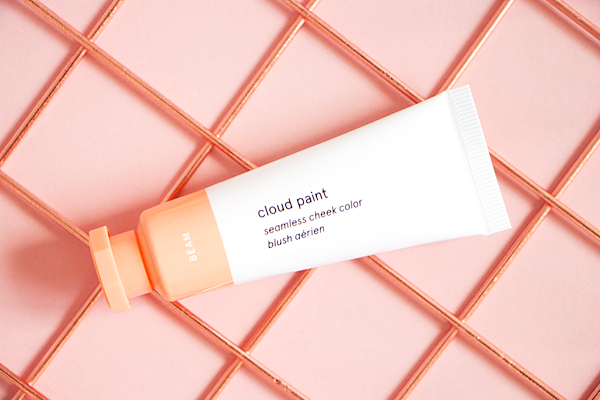 People really seem to love these Cloud Paints though & I have to admit they look exceptionally pretty on the cheeks. They have a collection of six different shades that are designed to work on a wide range of skin tones. After much deliberation I decided to get Beam as I'm a sucker for peachy cheeks. Cloud Paints have a light, liquidy texture that easily blends out with your fingertips. They're sheer but very buildable & impart a healthy looking flush to the cheeks. I tend to be quite heavy handed with blusher but with these it's hard to apply too much so they always look fresh & natural. They go on very smoothly & contain blurring powder pigments which ensure a seamless finish. 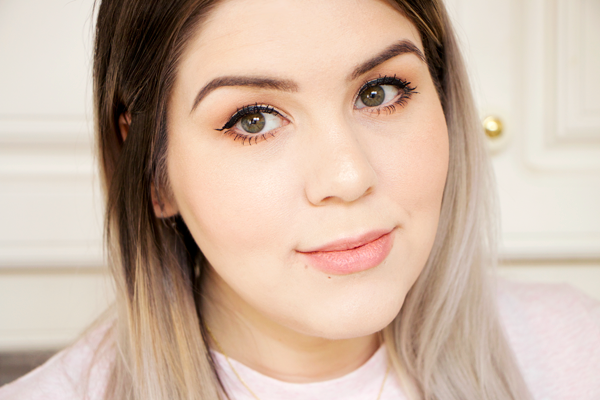 I adore the soft apricot tone of Beam, it really perks up my complexion & also looks cute when used on the lips as I have done in these photos. I still don't reach for it quite as often as my powder blushers but I certainly don't regret buying one of these Cloud Paints. 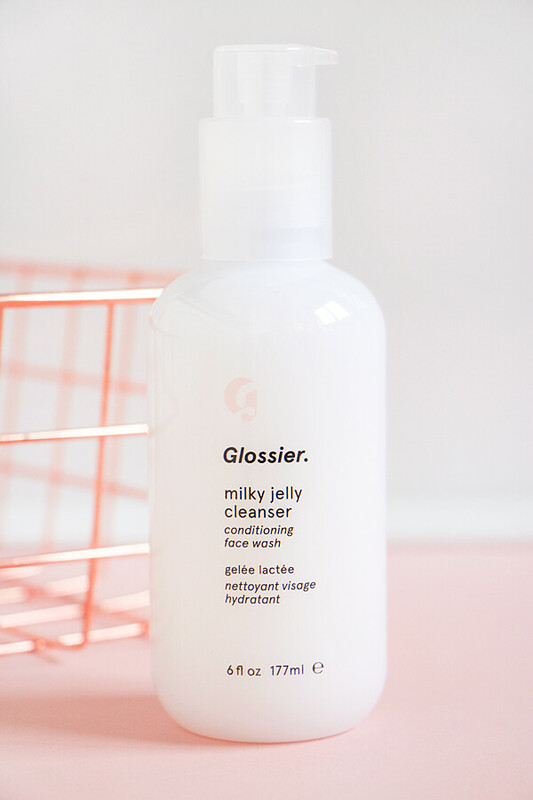 When I ordered these products from Glossier my expectations were really high & in the end the only thing that disappointed me was the Milky Jelly Cleanser. After actually testing their products I think that they do somewhat live up to the hype. A lot of people love Glossier & they definitely make some great stuff but most of their products don't interest me at all. I don't like their 'cool girl' attitude or that you need to have perfect skin to use most of their cosmetics. The transformative power of makeup is so much more interesting to me & their minimalistic approach just isn't in line with my own preferences. 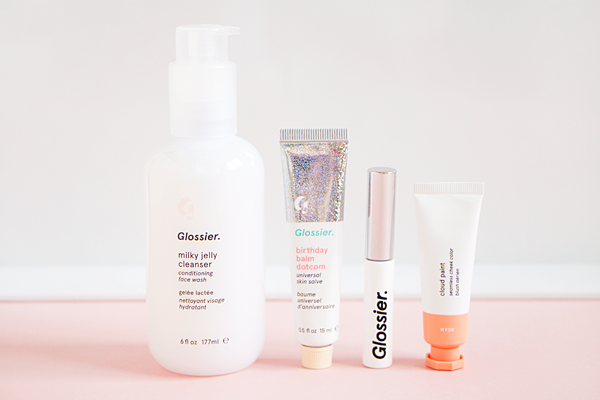 Now that much of the hype has died down I'd love to hear which Glossier products you like & what you think about their natural, no-fuss style of makeup! I find it so hard to resist that packaging haha, although each time I've bought something I've not fallen in love with it as much as I thought I would! I agree about balm dot com, it is great. And I've been so tempted to try Boy Brow - you may have persuaded me!